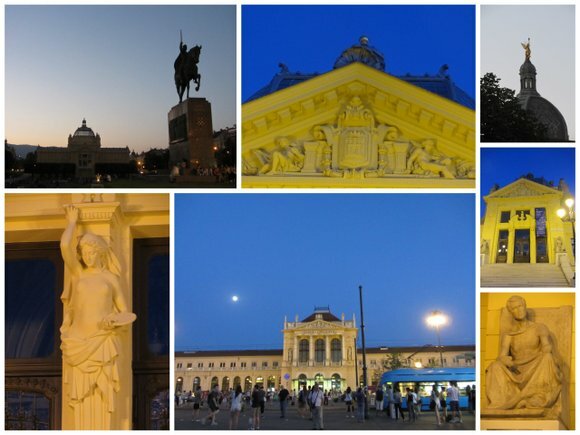 June 21st was the start of my so-called Balkan trip. So many changes happened even in the planning stage. Initially I wanted to have an ambitious Budapest-Zagreb-Split-Dubrovnik-Mostar-Sarajevo-Podgorica-Pristina-Skopje trip with Yoga. But his visa application was rejected by the Hungarian consulate in Yekaterinburg because his Russian residence permit will expire in less than three months from the visit to Budapest. Swell. 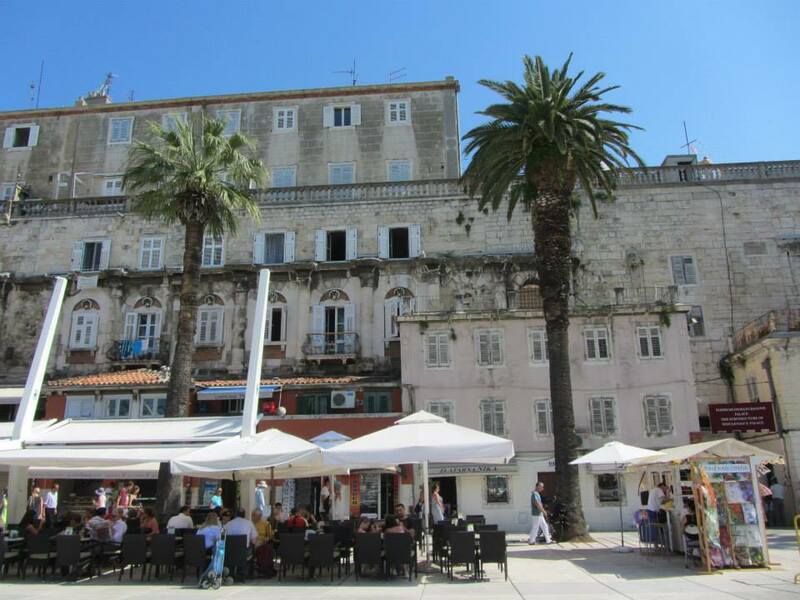 Then it happened that a friend, Sudish, would have a summer school in Dubrovnik. So I changed the plan to go approximately at the same time with him… Though I tried to be realistic and stop the trip in Sarajevo before going back to Zagreb, then Budapest. It was supposed to start at June 19th, traveling along with Sudish the Nepali, Georgi the Bulgarian, Juan the Colombian, and Zak the Somali (yes we’re quite a multicultural group). But when I planned it, I forgot that I had issues with the residence permit card. I lost it in early May when my purse was stolen, so I had applied for a new card right away. By the time I was supposed to depart, the card wasn’t ready yet so I had to postpone the travel to June 21st (“Your temporary residence permit card will not be accepted by the border control, they will send you back here,” said an immigration officer when I asked about the possibility of crossing the border without my new permit card). Sudish and Georgi departed on June 19th, while Zak was supposed to catch up in Dubrovnik on June 25th. Juan happened to have to postpone his travel, too, so we departed at the same day. Which was a good coincidence because it was going to be a very long trip. The schedule for Budapest-Zagreb train was 13:25-19:46 (6:21 hours ride), while the Zagreb-Split train was 22:00-06:36 (8:36 hours). The train to Zagreb was the worst one I’ve ever taken in Europe so far. There was no air conditioner and the summer heat, which exceeded 32 degrees Celsius for sure, roasted the passengers. There was no food and beverages service so everyone must pack up their own picnic (which should include some considerable amount of water to deal with the threat of dehydration). The second class carriages had no compartment of six seats common in Central European trains (like the ones I took from Budapest to Bratislava or Prague). And because it was Friday, the train was almost full of people, Juan and me were lucky to find some seats available. We sat next to an elderly American couple. They started a conversation and it happened that the husband could speak Bahasa Indonesia! “Apa kabar (how are you)?” he said. Apparently he had been an engineer who had worked in launching Palapa satellites in Indonesia in the 1970s. Palapa is the name of a series of satellites which changed the communication system of Indonesia — the first developing country to operate its own domestic satellites. It was in every textbook in schools so I felt quite honoured to coincidentally meet one of its engineers. The couple stayed in Indonesia for a few years, they said, traveling from one part to another to set up the supporting system of Palapa. “I remember Jogja, it was such a nice city,” said the wife when she found out about my hometown. The train stopped at the Nagykanizsa station. 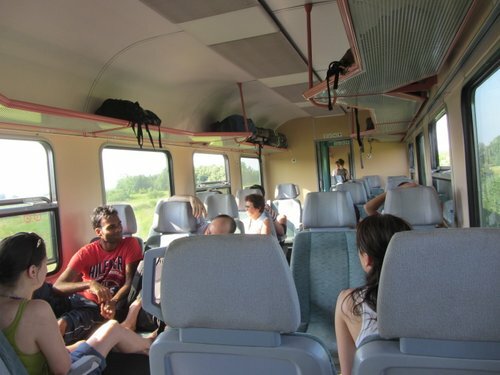 Passengers must get off of the train and transferred to buses which would take us to the border train station Gyékényes. It was good that Juan and me only took backpacks, it seemed for those who brought heavy suitcases, the train-bus-train transfer was quite a hard work. The bus ride took about 30 minutes. 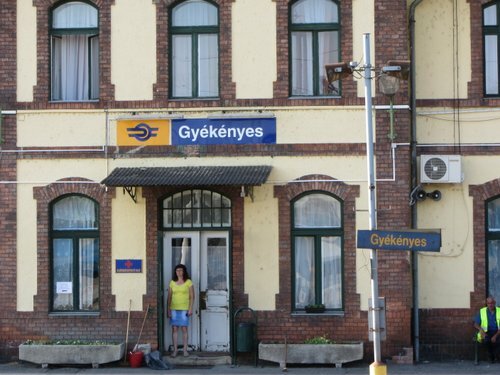 In Gyékényes, once we settled down in the train — this time with compartments, thank God! — the Hungarian immigration officers came to inspect our travel documents. And yes I had another stamp in the passport! In the last two years I had traveled quite a lot inside the Schengen boundaries so no stamp used to be added on my passport although I crossed the borders of various countries. Now that finally I was crossing the Schengen border to Croatia, I was happy to get an additional stamp which depicted a train on it 😀 Usually the stamps depict airplanes instead of train, and only then I realized it was the first time I got one with train. I think it’s kinda cute. Haha. An unimportant detail. Anyway, next came the Croatian officers, and I had the next set of stamps in my passport. Neat. We shared the compartment with a Dutch couple. The rest of the trip to Zagreb was uneventful, I spent time sleeping, reading Andric’s The Bridge on the Drina, or talking about some pointless topics with Juan. We arrived at Zagreb about an hour late from the schedule. Still, we had an hour before the next train depart. So we roamed around the station, went to the underground mall to grab something to eat, and ate it in the park right in front of the train station. We took a stroll in the park (which was quite full of people) before going back to the station. The train from Zagreb to Split was, again, full of people. And damn these are the kind of people who actually booked their seats. We, of course, did not book ours. So we got kicked off from the compartments twice. The first one was when we knew that the compartment was reserved but we tried to push our luck (to no avail). The second one was in a compartment which was not signed as reserved but, alas, turned out to be reserved. It felt quite bad to be kicked out of those compartments, feeling like our dignity was hurt… (yeah I’m being a drama queen here). After a walk to the next wagon and then the next wagon, squeezing our way in between the narrow corridor full of people of the same fate, we found an empty compartment. Well, almost empty: there were two suitcases in between the seats, but without any living person nearby. So we decided to occupy the seats. I was sleeping on a row and I think Juan was also already sleeping, albeit sitting, when..
Juan moved to my row and I woke up, sitting on my seat. The girl started a conversation, which turned out to be somewhat one-sided as she continued with some sort of a monologue. So according to her, she was an opera singer, currently based in Vienna, although she had spent the previous year working in New York and Madrid. She talked a lot and it seemed that we have found someone a bit cuckoo as a compartment-mate. – How the Croats are crazy. “They’re terrible, terrible, I can’t stand them. They know nothing,” she said, although she is also a Croat, a native of Split. – Her boyfriend in Split and their long distance relationship. Juan and me exchanged glances, saying nothing but understood it meant “this girl got some serious issues.” Somehow as the night drifted away, we all managed to get some sleep. The air conditioner froze the compartment in the morning. The girl half-consciously took down her luggage, almost knocked upon Juan’s head in the process, opened the suitcase and took sweaters to warm herself up. Anyway, finally, we arrived at Split at around 8 am, again, late more than an hour after the schedule. I don’t complain, though, I just consider things here to be very similar with what usually happen at home. We parted ways with the girl, and waited for dearest Georgi to pick us up at the train station.